A belt tripper is used to “trip” the material off the conveyor at specified locations between the terminal pulleys. A belt tripper can either be in a fixed position or movable and consists of a structure with two pulley assemblies. 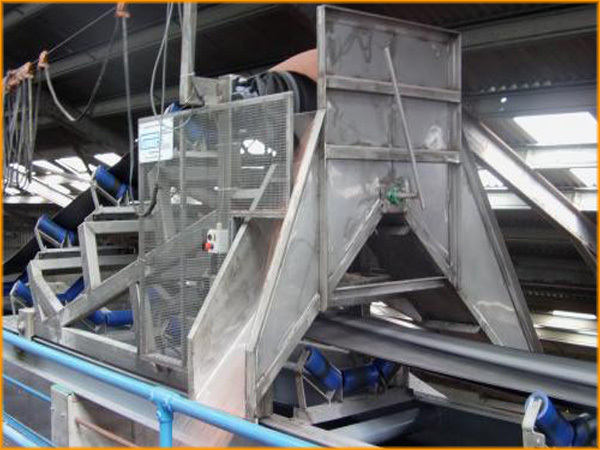 As the belt passes over the upper pulley, the material is discharged from the belt into a collection chute. The material is then diverted to one side or both sides of the belt for discharge, or back onto the belt if the desired discharge position is at the end of the conveyor. Several powered drive options and chute configurations are available for any belt tripper. Tripper are provide with structures with wheels and axles with separate drive for travel. 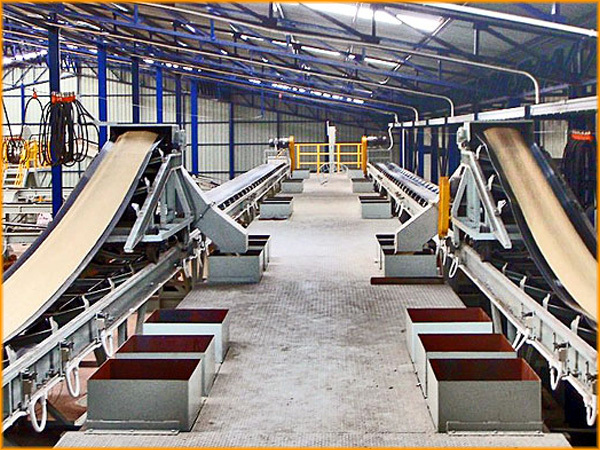 The capacities of tripper conveyors are the same as conventional conveyors. 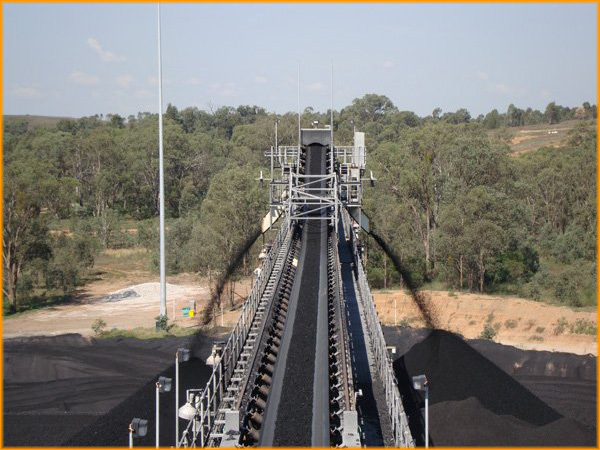 You can contact us for your tripper belt conveyor demands up to 2000 tonnes/hour capacity.